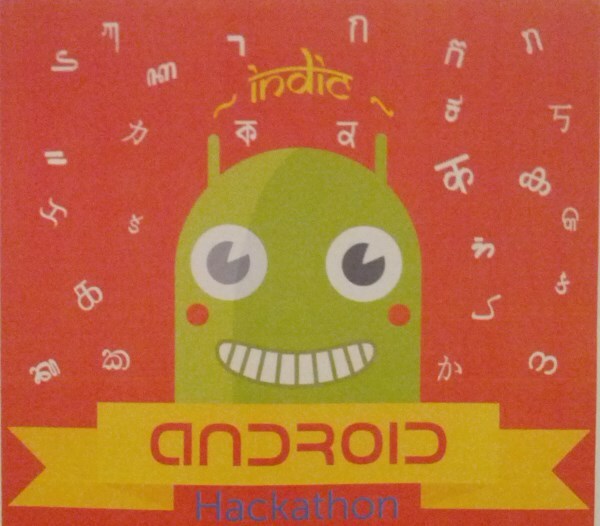 Indic Android Hackathon – What can Google do for Indic? Firstly some basics – What is Indic? 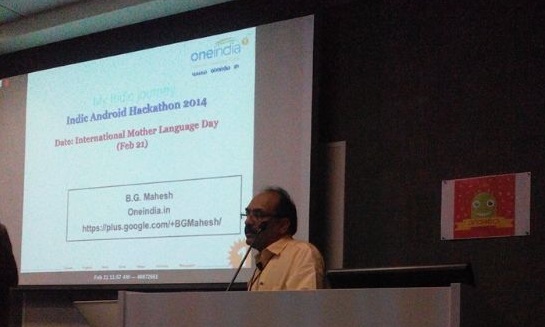 Google India held the first ever “Indic Android Hackathon” in their Bangalore office on Feb 21-22. It so happened that Feb 21 was also the International Mother Language Day. In the last two years, the Internet in rural India has at a compound annual growth rate (CAGR) of 73 percent. The Internet and Mobile Association of India (IAMAI) estimates that there were 45 million internet users in rural India in December 2013. By June 2014, it is estimated that mobile internet users will account for 60 percent of the overall internet users in the country. Broadband Internet use is also expected to grow significantly due to 4G networks and the government’s Bharat Broadband initiative. Therefore, there is a huge market opportunity in enabling apps in Indian languages. To address this opportunity, Google invites App developers and creators to participate in the Indic Android Hackathon 2014. This Hackathon is a two day seminar + hackathon on creating Android apps in Indian languages. If you own an Android app, enabling it in Indian languages will help you grow the size of your addressable market. If you are an application developer, this workshop will help you add valuable skills to your app development repertoire. If you own or manage an Indian language web site, developing a companion app will help you reach out to more users. Oneindia publishes content in 7 Indic languages. I had the privilege of being invited to give the Keynote address on Friday (Feb 21). Majority of the attendees were techies (as expected). As per Google India’s Managing Director Rajan Anandan the next 300 million internet users in India will not know English. A very big opportunity for publishers like Oneindia. Every month 3 million new mobile internet users are added in India (as of Dec 2013). Android mobile operating system comes pre-installed on roughly 80 percent of the smartphones sold in the world today. Add Kannada language to Google News, after all they have an office in Bangalore. Improve searchability of Indic content. Lead the effort in standardizing the development of Indic fonts. The most important one – high time they get Adsense to be Indic ready. The moment Indic publishers see some serious revenue coming in their way, you will see more Indic activity happening.